Close to the recent total lunar eclipse this past September 27th, I was approached by Andy Belt of the S.I. Newhouse School of Public Communications on the S.U. campus for an article he was writing about local amateur astronomer extraordinaire Bob Piekiel. I searched for several days after, waiting to see it hit the internets, then forgot to keep searching, and have just recently stumbled upon the article at thenewshouse.com. A nice write-up about someone many know by voice from his many sessions at Baltimore Woods and Green Lakes (to name a few), even if they don’t know him by sight (given when the observing sessions usually start!). 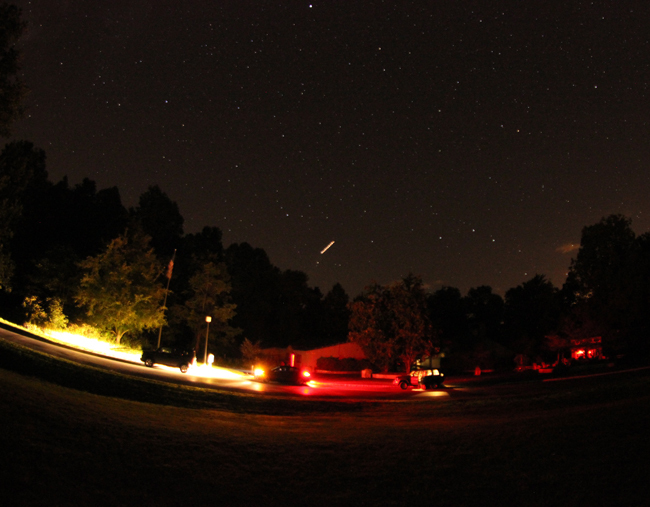 during monthly astronomy events across Central New York. At the end of Wilson Drive, a quiet street in the sleepy village of Marcellus, New York, is a house on a small hill that stands out from all the others. The home would look like any of the other low-key ranches on the block if not for the 12 solar panels installed to the roof, or the eight-foot-tall wind turbine perched on top. A vibrant greenhouse takes up half of this already modest dwelling. 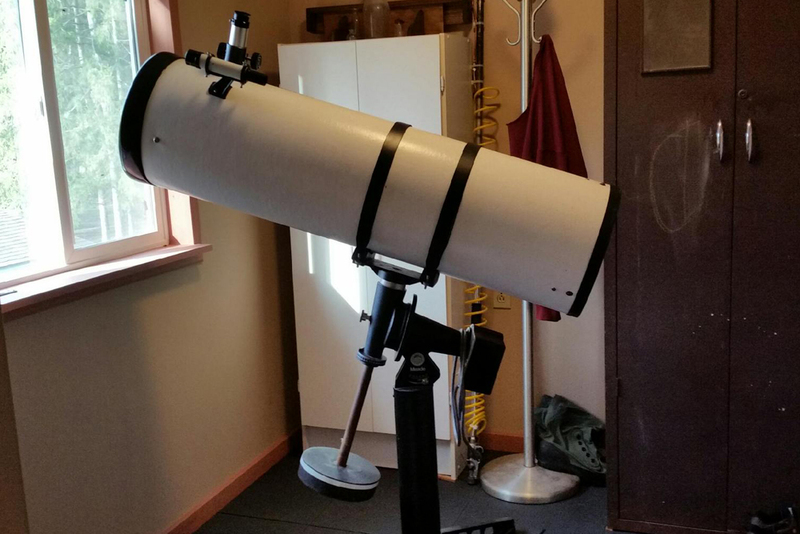 But the crown jewel of the house is in the backyard in the form of large twin telescopes that date back more than forty years. After all, this is the home of Robert Piekiel, one of Central New York’s most respected amateur astronomers. 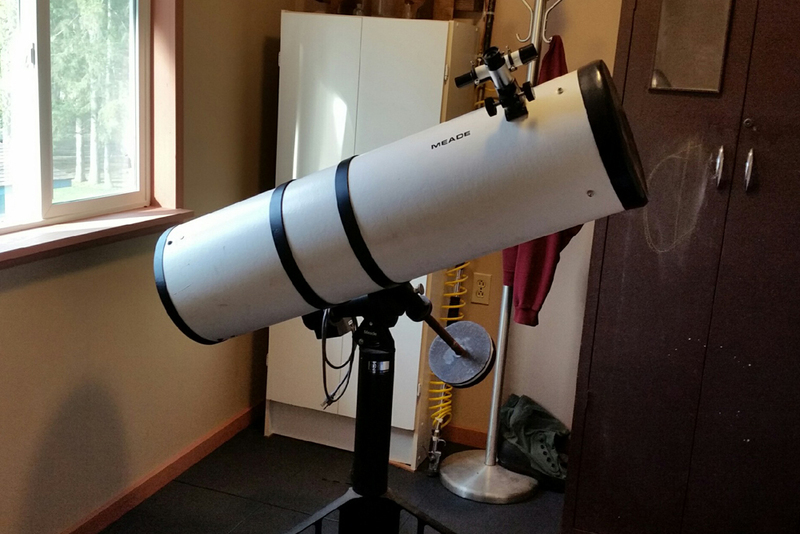 In his mind, no true stargazer’s home would be complete without the proper equipment. Piekiel has learned nearly everything there is to know about this particular hardware. 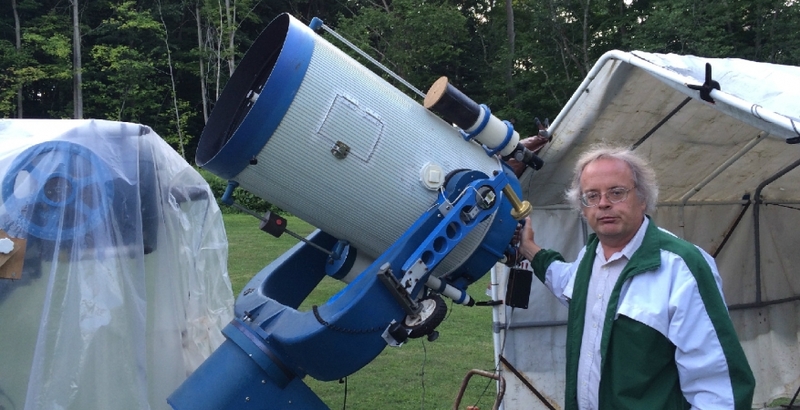 Since 2006, he’s authored 11 books on telescopes and still has more in the pipeline. A walking encyclopedia, Piekiel’s most extensive work (a history of Celestron, his favorite telescope company), took up over 1,800 pages. A CD-ROM copy of the book is available for “lighter” reading.